"Flash Gordon Serialism" and "Flash Gordon Conquers the Universe"
Our first one note song was "F", which appeared on "Rust Mecca/The Sick and Wounded". Then, for a change of pace, we came up with "Bb". Then we decided, what the heck, we should just play a whole set of one note songs -- one for each note in the good ol' Western chromatic scale seemed about right. This was "Schoenberg's Cat". Then we decided to dust off the four-track and see just how many instruments we could pile up playing one note at a time each. The result is "Flash Gordon Serialism". Twelve one note songs on fourteen instruments played by two people with a four track for about fourty-five minutes. Utilizes a special technique pioneered by Sly Stone, namely, recording direct to your master tape and bouncing down so much that all the bottom layers compress into a nice, bassy hum. It's the no-fi noise spectacular of the year! 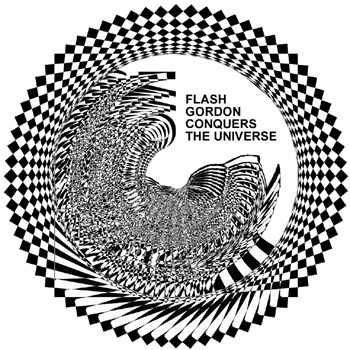 "Flash Gordon Conquers the Universe" is a recording of five copies of "Flash Gordon Serialism" being played live, at random, simutaneously, on local college radio station WCSB 89.3. 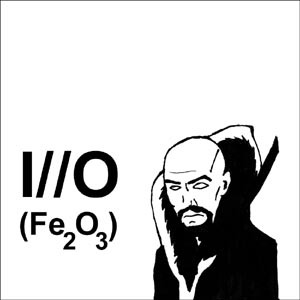 Iron Oxide makes chords the hard way. Both albums available on classy CD-R format direct from our DIY label, Coffee Hut Records, for a fee of $3 PPD. Click here for more info.